Deborah E. Linder, DVM, MS, DACVN, is a veterinary nutritionist at Cummings School of Veterinary Medicine at Tufts University, where she earned her DVM. She is also the codirector of the Tufts Institute for Human–Animal Interaction. She has spoken at national and international conferences and has authored articles for numerous publications. Dr. Linder’s clinical interests include obesity management, effective pet owner education, and human–animal interaction. Her research focuses on safe and effective weight-loss strategies for pets, as well as the effects of obesity on pet and human well-being. What do clients need to know about proper nutrition for pets at each life stage? The nutrient needs of dogs and cats change with age, so veterinarians should consult established guidelines and give clients clear direction in selecting the appropriate pet food at each life stage. The Association of American Feed Control Officials (AAFCO) guidelines, based on reviews of current evidence by the National Research Council, provide nutritional adequacy statements for all life stages (ie, from growth to full skeletal maturity).1 There are no nutritional guidelines for senior pets, and AAFCO does not separate animals beyond full skeletal maturity. The clinician should make dietary decisions based on each patient’s needs. Until they reach full skeletal maturity, puppies and kittens should be fed a complete and balanced food that meets the AAFCO nutritional adequacy statement for growth (see AAFCO Statements on Pet Food Labels).1 In cats and small- and medium-breed dogs, skeletal maturity is typically reached by 1 year of age; large- and giant-breed dogs may not reach skeletal maturity until 15 to 18 months of age. Diets are determined adequate for growth based on either formulation or feeding trial assessment. Diets formulated to meet nutritional adequacy are analyzed to ensure all essential nutrients are included and the diets comply with AAFCO minimum and/or maximum nutrient levels.1 In contrast, feeding trials can be conducted to ensure nutritional adequacy. During these trials, pets undergo laboratory testing and physical examinations by experts to assess any potential concern. AAFCO guidelines categorize pet food labeling as growth, gestation/lactation, maintenance, or all life stages (ie, food meeting the nutrient needs of any pet). Although AAFCO does not test or regulate pet foods (pet foods are regulated at the state level), they must meet AAFCO guidelines to be labeled as complete and balanced. This credentialing involves conducting feeding trials or analyzing foods and comparing nutrient profiles. Pet Food Name is formulated to meet the nutritional levels established by the AAFCO Dog/Cat Food Nutrient Profiles for growth/gestation/lactation/maintenance/all life stages. Animal feeding tests using AAFCO procedures substantiate that Pet Food Name provides complete and balanced nutrition for growth/gestation/lactation/maintenance/all life stages. Pet Food Name is intended for intermittent or supplemental feeding only. Pet Food Name is formulated to meet the nutritional levels established by the AAFCO Dog Food Nutrient Profiles for growth/all life stages growth of large-size dogs (70 lbs or more as an adult). Pet Food Name is formulated to meet the nutritional levels established by the AAFCO Dog Food Nutrient Profiles for growth/all life stages except for growth of large-size dogs (70 lbs or more as an adult). Counseling owners to carefully read these statements can help ensure the critical difference between “except for” and “including” is not overlooked. At the first puppy or kitten visit, owners should be informed about the importance of BCS and breed predisposition to nutritional disorders (eg, lipid disorders in miniature schnauzers) in preventing or minimizing the severity of potential conditions. For example, monitoring BCS can prevent obesity, which can attenuate arthritis severity at a later stage. Specific evidence-based calorie and diet recommendations from established sources, including study guidelines from AAHA2 and WSAVA,3 can provide a clear foundation to help minimize owner confusion. After the puppy or kitten has been spayed or neutered, its BCS should be reassessed. Caloric intake should be reduced ≈30% to account for lower energy needs after the procedure.5 If pets are already overweight or are diagnosed with other medical issues, a board-certified veterinary nutritionist should be consulted to ensure the diet is meeting the pet’s nutrient requirements and addressing medical conditions appropriately. AAFCO offers specific dietary provisions for large- and giant-breed puppies. These diets are required to have a lower maximum calcium allowance as compared with other growth diets. It is recommended but not required that they have more narrow calcium to phosphorus ratios (1-1.3:1 vs 1-2:1 in growth diets).1 Large- and giant-breed dogs are at highest risk for orthopedic conditions and thus should be fed a growth diet formulated specifically for large-breed puppies, without any additional supplements, until they reach full skeletal maturity.6,7 Studies have shown overfeeding can also increase risk for orthopedic developmental disease in large-breed puppies, so diets formulated for these puppies typically have decreased energy density and should be portion controlled to achieve a lean BCS of 4/9. After reaching full skeletal maturity (ie, adult life stage), cats and dogs can be fed a variety of diets that have AAFCO nutrient adequacy statements and follow the WSAVA guidelines to ensure high quality.3 Routine nutritional assessments, including diet history and BCS, should be completed at yearly visits to ensure appropriate nutritional management.2 These assessments, in addition to regular wellness screenings, are critical to overall health monitoring and accommodate early detection of diseases that may change nutrient requirements. Adult dogs and cats can be fed all life-stage or growth diets but with caution, as certain diets may provide more nutrients than needed. There is a paucity of studies that determine whether dry or canned foods are better for pet health. In healthy dogs and cats, patient preference can guide diet choice. In pets with certain medical conditions (eg, urinary disorders), high-moisture diets may be recommended, although this depends on the type of medical condition. It is unknown whether natural (as defined by AAFCO1) diets provide more, less, or the same health benefits for pets as compared with nonnatural diets. However, there are known risks and medical consequences of feeding raw food, such as bacterial contamination and risks for both pets and humans in the household.8 Board-certified veterinary nutritionists can provide a complete and balanced recipe for owners who wish to home-cook meals for their pet. Of note, other than the term natural, no other pet food terminology (eg, organic, holistic, human grade) has been defined or accepted by AAFCO. Cats and dogs have changing nutrient needs as they grow from weaning into adulthood and into their senior years. An appropriate diet can help ensure the best medical care for pets and avoid nutrient imbalances or diseases associated with malnutrition. A careful discussion of BCS, life stage, medical conditions, and AAFCO nutrient adequacy statements can better guide owners in selecting the appropriate diet for their pet, regardless of age. Association of American Feed Control Officials. In: 2016 Official Publication. Champaign, IL: Association of American Feed Control Officials; 2016:155-167. Baldwin K, Bartges J, Buffington T, et al. AAHA nutritional assessment guidelines for dogs and cats. J Am Anim Hosp Assoc. 2010;46(4):285-296. Freeman LM, the WSAVA Global Nutrition Committee. New tools for the nutritional assessment and management of critical care patients. J Vet Emerg Crit Care (San Antonio). 2015;25(1):4-5. Brooks D, Churchill J, Fein K, et al. 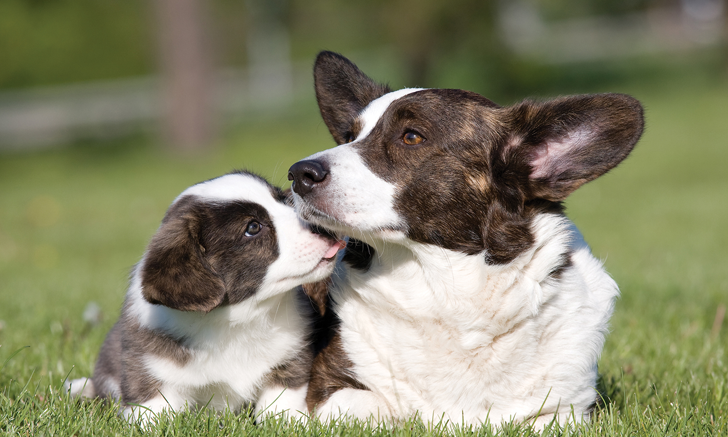 2014 AAHA weight management guidelines for dogs and cats. J Am Anim Hosp Assoc. 2014;50(1):1-11. Hoenig M, Ferguson DC. Effects of neutering on hormonal concentrations and energy requirements in male and female cats. Am J Vet Res. 2002;63(5):634-639. Larsen J. Feeding large-breed puppies. Compend Contin Educ Vet. 2010;32(5):E1-E4. Schoenmakers I, Hazewinkel HA, Voorhout G, Carlson CS, Richardson D. Effects of diets with different calcium and phosphorus contents on the skeletal development and blood chemistry of growing Great Danes. Vet Rec. 2000;147(23):652-660. Freeman LM, Chandler ML, Hamper BA, Weeth LP. Current knowledge about the risks and benefits of raw meat-based diets for dogs and cats. J Am Vet Med Assoc. 2013;243(11):1549-1558. Hutchinson D, Freeman LM, Schreiner KE, Terkla DG. Survey of opinions about nutritional requirements of senior dogs and analysis of nutrient profiles of commercially available diets for senior dogs. Intern J Appl Res Vet Med. 2011;9(1):68-79. Nutritional adequacy and substantiation. In: AAFCO Pet Food and Specialty Pet Food Labeling Guide. Champaign, IL: Association of American Feed Control Officials; 2016:55-61. American College of Veterinary Nutrition. Directory. http://www.acvn.org/directory. Updated 2016. Accessed March 12, 2016. Beitz DC, Bauer JE, Behnke KC, et al. Nutrient Requirements of Dogs and Cats. Washington, DC: National Academies Press; 2006. WSAVA Global Nutrition Committee. Recommendations on selecting pet foods. http://www.wsava.org/sites/default/files/Recommendations%20on%20Selecting%20Pet%20Foods.pdf. Published 2013. Accessed 2016. WSAVA Nutritional Assessment Guidelines Task Force Members, Freeman L, Becvarova I, et al. WSAVA nutritional assessment guidelines. J Small Anim Pract. 2011;52(7):385-396.